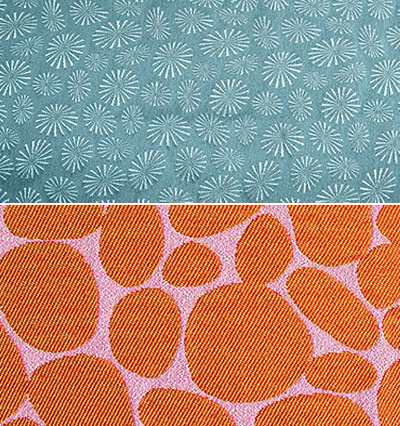 Angela Adams recently expanded her upbeat retro textile designs with more rugged and sustainable fabrics to help spruce up hospitals, office cubicles, and the outdoors. 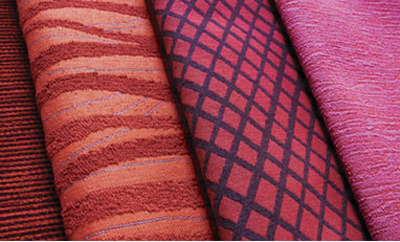 Crypton is an engineered and patented weave that is breathable and moisture resistant, perfect for hospitals and medical offices. 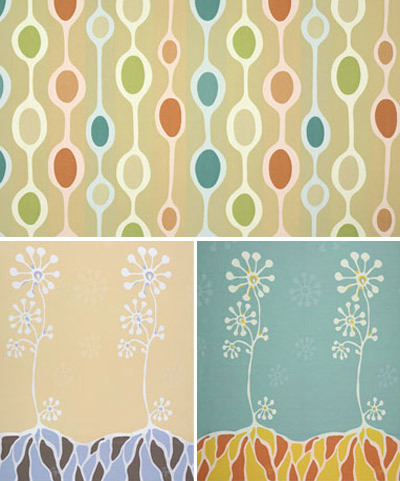 Cubicle Curtains are a line of fun, durable alternatives to the drab and institutional hospital curtains we're used to. 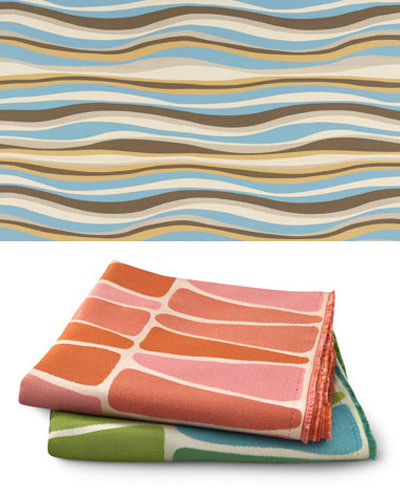 Three of Adams' patterns are now available in Sunbrella fabric for outdoor furniture and cushions. 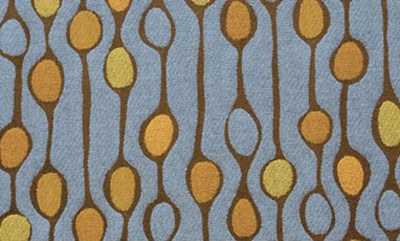 Eleven patterns are now available as sustainable fabrics made from 100% post-industrial recycled polyester. Her new collaboration with Architex makes her classic designs available in heavier duty, more durable, and in some cases much more sustainable fabrics.